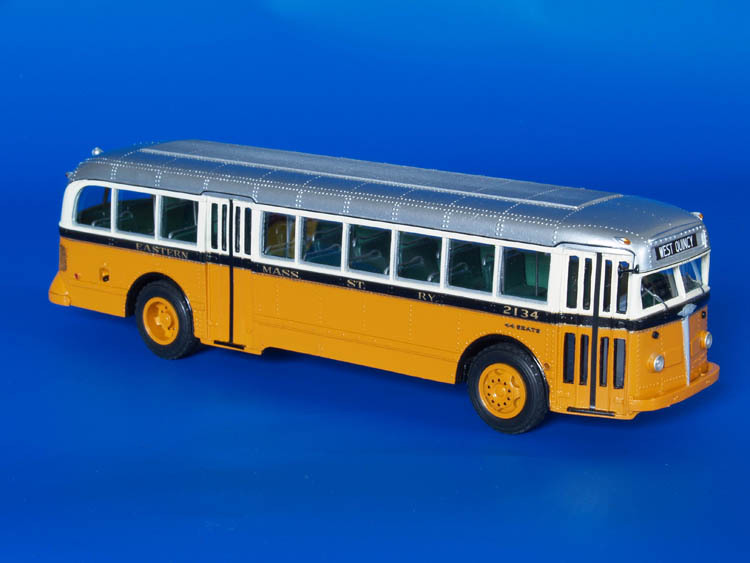 Model 1947/48 white 798 (d.c.transit system 5100-5199 series) - post'56 livery. 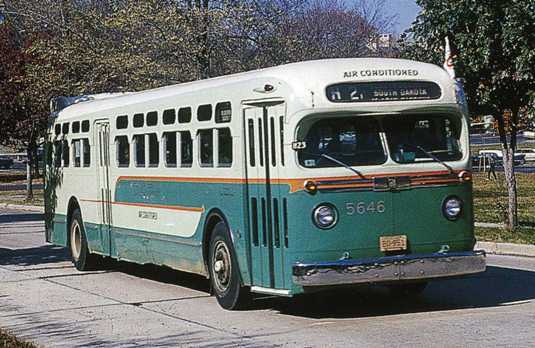 Washington's Capital Transit Co. acquired its first White 798 during the World War II, when 145 coaches were allocated to the nation's capital by ODT. 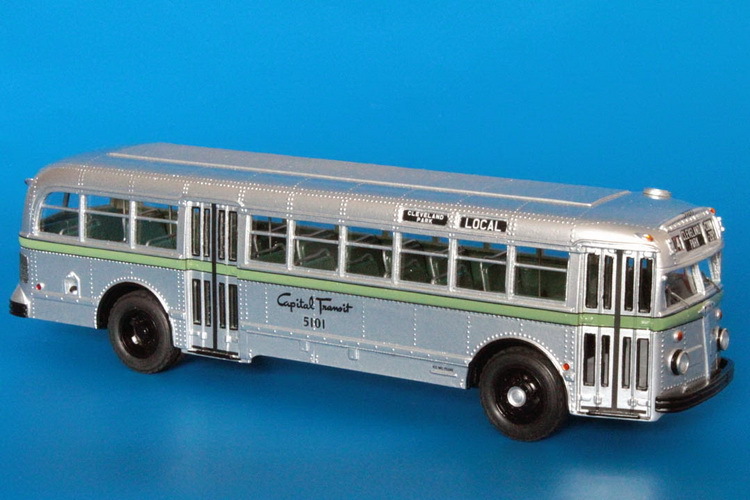 Pleased with Whites, Capital Transit Co. placed a 100-bus order after the war and new coaches arrived in 1947 (5100-5149) and 1948 (5150-5199). These buses had a three-part front destination sign and double curb-side signs as well. 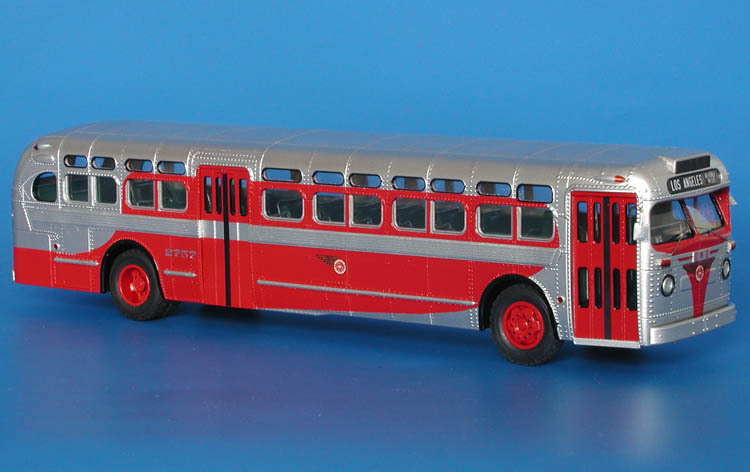 They arrived in then standard CTCo bus silver livery and were fitted with Hydrotorque automatic transmission. 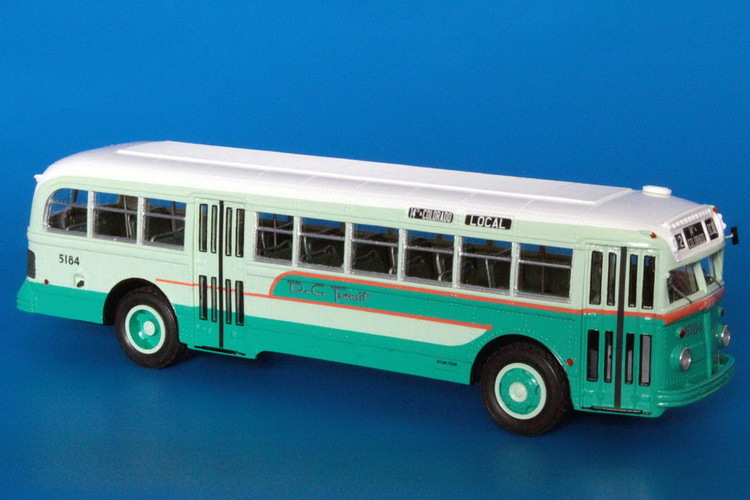 As all Washington's buses, the Whites received a new D.C.Transit livery after 1956. [Photo: Dave Burnette]. 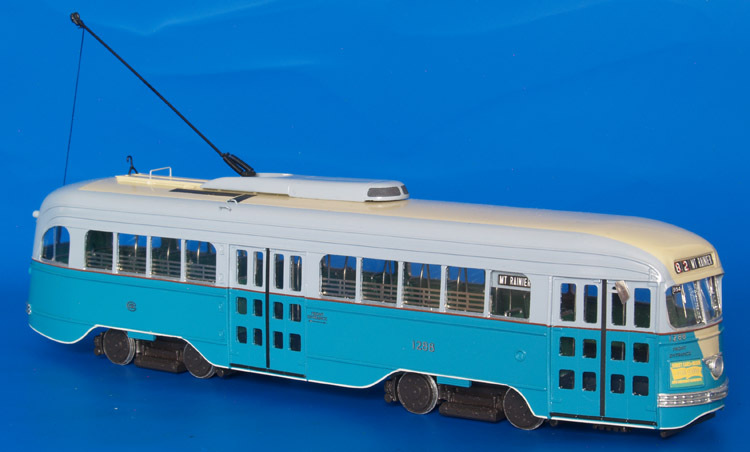 1941 Washington Capital Transit Co. St.Louis Car Co. PCC (Job 1627; 1268-1302 series)- "as delivered" livery. 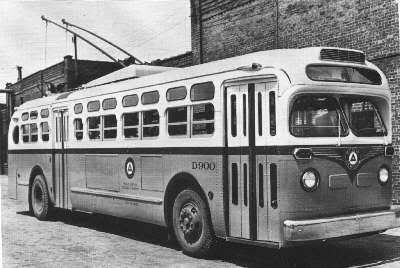 1947/48 White 798 (Capital Transit Co. 5100-5199 series). 1945 White 798 (Eastern Mass. Street Railway 2131-2180 series).